Today's card is a combination of old and new. 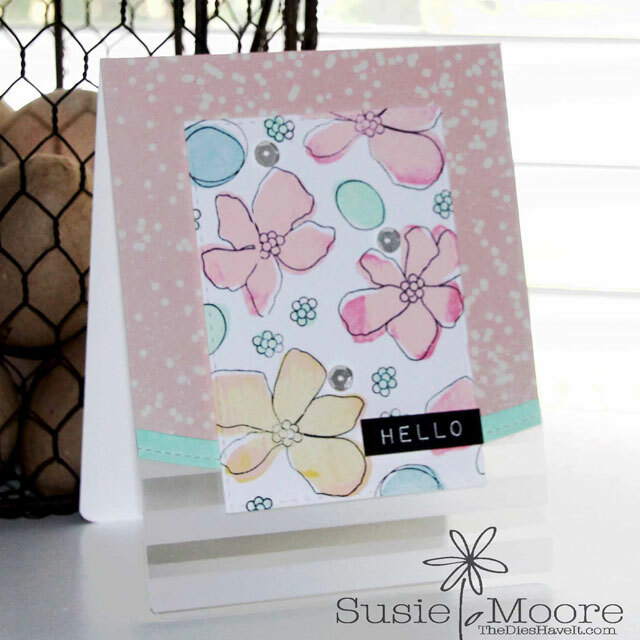 The floral stamp set is an older one from Simon Says Stamp. I used Avery Elle pigment inks to color my images. The new part of the card is the technique at the very bottom of the front. I used some striped acetate from WRMK and I love the way it took the card from ok to WOW! My sentiment is from Clearly Besotted and of course I added in some Pretty Pink Posh sequins to make a grand finish!